I was lucky enough to make it to 19 years old before I ever worried about my weight. Blessed by genetics (don’t hate me! ), I was to be able to eat anything up to that point without a second thought or a single extra kilo. So when it all changed – seemingly overnight – I was completely unprepared. Shocked by sudden weight gain, I found myself counting calories and restricting my food intake like a crazy person, without any real thought for the consequences. I started keeping a food diary and made challenges with myself to reduce the number of entries each day. Dizzy spells and almost fainting at work in the mornings became a regular occurence as I delayed eating for as long as I could. I was moody, irrational, emotional and slightly obsessed. As I watched my BMI come down from 20 to my previously carefree 18, I became even stricter with myself. I posted pictures of magazine models in my diary as constant motivation and looked at them whenever I felt hungry. On the rare occasion that I ate with family or friends, I played with my food to distract them from noticing that I wasn’t eating. By the time my BMI reached 17, my boyfriend had had enough. He tried to talk sense into me but I’d started to feel a sick sort of power over myself. If I controlled my weight, I controlled my life, right? Meanwhile, ironically, my ‘life’ was also losing weight. I avoided eating out with friends because, well, that involved food. Activities I’d previously enjoyed became tainted by my anxiety around food and my relationships were no longer full of the fun and joy they’d once been. Sadly this went on until I was a nervous wreck. Even the smallest thing would cause me to burst into tears. It was affecting my relationships, my work, my study, and my sanity. I was thin, but at what cost? When I no longer had the energy or willpower to starve myself, my BMI shot up to 22. Not excessive by any means, but very upsetting to a girl who had hinged her self-esteem on her jeans size. In desperation, I turned to diet shakes. Completely unaware that the toxic, artificial contents of the shakes mixed with lactose-containing milk that my body can’t handle, were actually causing me to GAIN, not lose, fat, my BMI continued to rise to a very plump and devastating 26. Believe me, I wasn’t laughing on the inside. Over the next decade I yo-yo’d through various diets, shakes, frozen meals, pills and other nonsense, never understanding why the weight loss wasn’t sustainable. My overall health deteriorated, my skin suffered with eczema break-outs of epic proportions, and all the mental grief over my perceived failures seriously affected my sparkle. So much time, youth and energy wasted fighting a never-ending battle it seemed I could never win. My time in diet hell wouldn’t begin to come to an end until many years later. On October 1st 2011 I chose to follow a vegan lifestyle and everything shifted. No longer wanting to eat frozen ‘diet’ dinners or traditional processed foods laced with animal derivatives, I began teaching myself to cook and educating myself about proper nutrition. I relaxed, I experimented more and I began to love the way healthy, wholesome food made me feel. Truth be told, it was like my love for animals began to permeate my cells and transform into self-love. Slowly but surely, day by day, I began to change. Thirsty for knowledge, I made another one of the best decisions of my life and enrolled to study at the Institute for Integrative Nutrition and learnt even more not only about food but also the other beautiful elements that are vital for a happy, healthy life – like nourishment from fulfilling work, love, relationships, exercise and spirituality. I began to understand more about the psychology of eating and creating a nurturing lifestyle. These days I focus on the good, the happy, the healthy, and the nourishing, and whaddya know… the excess weight melted away – in its place only serenity and appreciation for all the beauty in the world. Honey girl, STEP AWAY FROM THAT SHAKE! I’m here to help. Listen up, beautiful. Diets based on deprivation and punishment don’t work. When you choose to drink diet shakes you’re telling your body it’s too fat and not worthy of real food. That kind of limiting belief is toxic to your health, your body and your self-esteem. Soon you’re feeling so bad about yourself you binge to make yourself temporarily feel better. And so the cycle repeats itself, never letting you out of its evil grip. Most diet shakes contain large amounts of artificial sweeteners, colours, flavours and preservatives. These chemicals can cause hyperactivity, allergic reactions, headaches, nausea and digestive disturbances in anyone sensitive to these ingredients. They’re essentially a processed food and do not provide long-term health or weight loss. You may lose weight initially but that kind of artificial weight loss is not sustainable. To create lasting change and wellness, you need to adopt healthy habits and a healthy lifestyle – for good. True freedom only comes when food is love. Love for your body, your life and yourself. It’s choosing whole foods that are good for you and avoiding processed foods that steal your energy and dull your sparkle. It’s eating mindfully, slowly and truly nourishing yourself. Try Orange, Lemon, Carrot & Ginger, Green Juice or any vegetable combo that you fancy. Juices infuse your body with an instant dose of vitamins and minerals and help keep you regular. SO much better than diet shakes because they’re bursting with nutrition that your body recognises as real food. It’s easy to pump them full of superfoods for glowing skin and to help speed up your metabolism, and they’re crazy filling delicious! Again, keep the fruit/sweetener content low for weight loss. Experiment with reducing the dates/fruit in these babies: Green Smoothies, Healthy PB&J Smoothie, Banana Bread Smoothie, Healthy Choc Shake and the always scrumptious Mint Choc Chip Smoothie. Try drinking a litre of filtered water every morning before breakfast and see if you don’t lose weight. Water helps flush toxins out of your system and keeps your liver happy so it can better regulate your metabolism. Staying hydrated can also help keep the munchies away. Find a pretty bottle to keep on your desk or carry with you all morning and take regular sips. Make it a daily challenge to finish one litre every morning and another litre every afternoon and you’ll soon see those pesky pounds melting away. Warm, comforting, filling and nutritious, vegetable soup is one of your best tools for weight loss. Try Moroccan Sweet Potato, Carrot & Chickpea, Pea & Pesto or just a simple broth filled with vegetables. Enjoy a small cup before your main meals and you may just find yourself feeling satisfied with much smaller, healthier portions. Did you know that cayenne helps speed up your metabolism? Or that fennel seeds aid digestion and help regulate hunger? Give this Good for Everything Tea a whirl or try brewing a tablespoon of fennel seeds in a teapot of hot water for an instant liquorice-like treat. Peppermint tea is also great for digestion, whilst green tea is bursting with antioxidants. 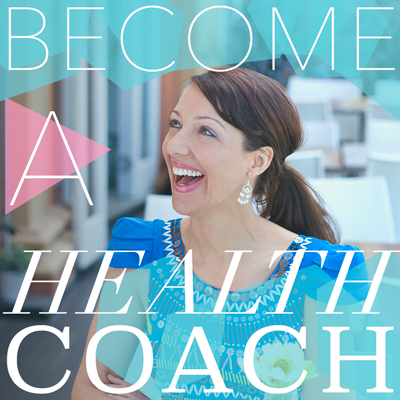 Jump off the crazy weight-loss diet cycle and get on the health train, beautiful! Choo choo! Oh and thanks for recognizing here that people often do need a food “intervention” to reset themselves that is comprised of the healthiest-nourishing-whole-plant-foods. I appreciate you including my challenge more than I can say! Oh, you’re so gorgeous, thank you so much, Somer. Love you to bits! Excellent post! Thank you for sharing your struggles! I did the diet shakes thing for a while but it never resulted in weight-loss. Your tips are refreshing and creating a veggie soup craving! I thought you were fabulous when I discovered your site, now I think your even more fabulous for making your way to healthier living. You’re radiant. Keep it up girl!!! Woah, I didn’t recognise you at first in the photo! Well done and you’re looking absolutely fantastic. A few years ago I was on diet shakes, provided to me by a Naturopath (what the?! ), who also had me on a high protein diet with no starchy carbs. I stayed on it for about two months before thinking that it just wasn’t me and it just didn’t feel right, so I stopped, and I left and I never went back. Now that I think back, I remember that she didn’t have great skin, she wasn’t slim herself and didn’t radiate ‘health’. These days I see another Naturopath (Kirsty at Living Balance Wellness Centre)and it is so nice to have my monthly meetings with her. Best thing is – she is a vego too! Thanks for all the links too – off to check them out now. Yes you have to wonder about some of the advice received from ‘professionals’ who are not radiating health themselves. I’m so happy to hear you listened to your body and did what felt right to you – and felt so much better for it! What a beautiful, touching piece. Thanks for sharing, Sparkles! You go girlfriend! Oh my goodness, such true words, Gabby. If only I could go back in time and teach myself what I know now, I would have saved myself so much heartache. If telling this story helps at least one girl from going the same struggles, it’s worth telling. I think you are sharing the story of so many women who have struggled – but unlike many, you found a way out! Thank you for this honest, uplifting story. The perfect post for me to read right now. Thank you for being so open. Your words are really inspiring.. Thanks for this lovely read, Bex! I do, eat & drink a lot like you too! A great post! You look great now! I had no clue this was your history! I loved your blog for its happiness. But now I love it even more! This entire article answers my question in my most recent article on consumption. Love it!!!!!!!!! And OMG you look so fabulous now.